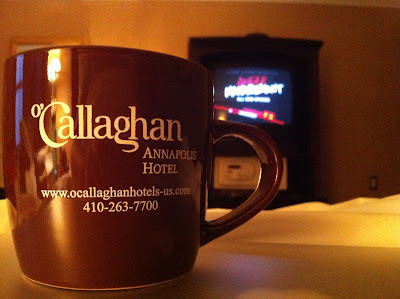 Good morning from the O’Callaghan Hotel in downtown Annapolis, MD. And now I’ve propped myself up in the bed, and I’m drinking my coffee at my own pace. I’m not taking anyone outside, or feeding anyone, or doing anyone’s laundry, or getting anyone’s pills or getting anyone else up and dressed. I poured my own coffee. I know there are people who don’t understand this. That I need to get away. They think something is wrong with our marriage, or that I’m selfish, or extreme, or they say they could never do that. So, I guess you can hate all you want. I came here with my husband’s blessing. He hung out with a friend last night. A good friend who helped him get into the bed. His home health aide will be there to get him up this morning. I’ll be home this afternoon. Just because I take a break for myself does not mean I am a horrible wife. 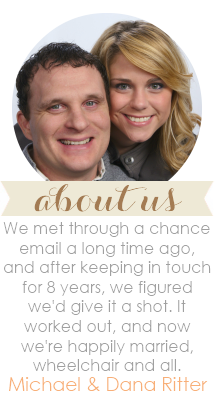 It doesn’t mean I don’t love my husband. It doesn’t mean I am a bad, selfish caregiver. For the last week, I have been a crabby, impatient, easily annoyed you-know-what. Especially to my husband. Bless HIS heart! I was burned out, stressed out, and exhausted. So, here I am, on my break. About an hour from home. But, it’s perfect, because it feels hundreds of miles away from my routine and my responsibilities and the many stresses and demands of my life at work and at home. I need this space to clear my mind. I need this space to exhale, to feel, and to seek the Lord. I'm with Jenn, no hating here either. When I post something on my blog that sounds so totally selfish, I always add "don't judge until you have walked in someone elses shoes". Caregivers are always soemtimes given a bad rap because we want 8 hours or less for just us. I hope God restored you and gave you renewed energy and a sound mind! and yes JEALOUS!!! Dude. I love it. We ALL should all do that every now and then. Last summer, I had Matt go stay with his mother for 2 weeks bc I was feeling the same way and I wanted a break...in my own home...alone...not from Matt, well kinda from Matt, but from his body and all the duties that go along with it. I felt guilty initially but I LOVED IT! Wish to do it again! Thanks, everyone! It was wonderful. I need to write about it. An amazing 24 hours or so. Oh Betty, when the ER is relaxing you know it's time to take a break! Take care of yourself, my friend. 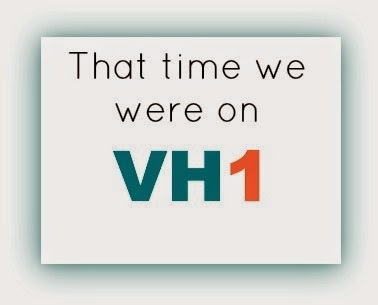 I used to feel guilty. So glad I got past that. It's nice (and I believe necessary) to have some alone time!